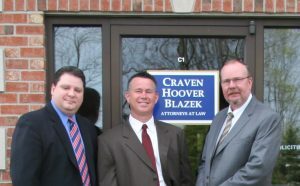 Things to Consider Before Suing a Relative for a Personal Injury | Craven, Hoover, & Blazek P.C. ← Were You Injured By Fireworks? Accidents can happen anywhere, and when they happen as a result of another’s negligence, someone should be held accountable for a victim’s damages and losses. But what if you or someone you love ends up seriously injured at a relative’s house? 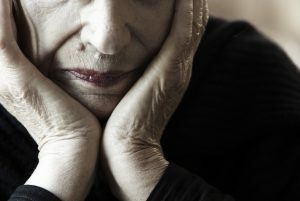 The lines between right and wrong can seem blurred when it comes to suing a family member for injuries sustained by you or your children, however, many families feel like they are left with no other choice. So before jumping right into a lawsuit, you need to think about a few things first. From swimming pool accidents to fireworks injuries and more, several types of personal injuries can take place at a private residence. And the likelihood of injuries only increases as families grow and get together more often. For this reason, many people have chosen to sue family members in order to cover compensation for medical expenses, hospital bills, lost wages, and more. So if you are in the same predicament, and you are leaning toward filing a claim against a relative, you are not alone. But before you do, it is strongly encouraged to go over the practical and emotional considerations involved in suing family. The first question you want to ask yourself is whether or not you can actually recover anything if you do decide to sue your uncle, sister, cousin, father-in-law, etcetera. You want to think about whether or not they have the financial means for remuneration, including cash, insurance, or liquid assets. If they have very little of these, or none at all, there is little-to-no chance of collecting any money. Under circumstances like these, pursuing a lawsuit would only cause friction within the family. And if they do have some financial means, the second question you need to ask yourself is whether or not they have enough that would make the settlement worth it? Aside from the practical aspects of suing a relative, there are some important emotional considerations that can influence your decision to move forward with a lawsuit. For instance, if you were to collect compensation from your family member, will there be a consequential domino-affect for the family as a whole? Will their children or other “innocent bystanders” of the family be negatively affected by the lawsuit and eventual settlement? This could not only cause you to have guilt and remorse, it could lead to several uncomfortable and difficult conversations for the entire family, and for many years to come. It could also turn out to be a conflict that changes the dynamic of the family, and never forgotten for the rest of their lives. Regardless of practical and emotional issues, sometimes it is necessary to go forward with a personal injury claim, especially when injuries are very serious. For this reason, it is important for family members to understand the realities of injuries, and that a claim for compensation is nothing personal. You can even have a discussion with family to strategize ways to avoid a claim, lawsuit, and legal fees. For example, your relative can pay medical expenses and hospital bills, and everyone can move forward happy and conflict-free. Talk to your personal injury lawyer for professional advice and guidance after being seriously injured in an accident at a family member’s house. This entry was posted in Personal Injury and tagged Indianapolis accident attorneys, personal injury claims, personal injury lawyer, personal injury lawyer Indianapolis, seriously injured in an accident, suing a family member, suing for personal injury. Bookmark the permalink.